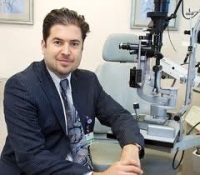 » Watch Next Video by Ehsan Sadri - What is macular degeneration? A cataract is the opacification or the darkening of the lenses inside the patient's eye. This process is painless and progressive and can happen gradually over the years. Typical loss of vision can be for reading , driving, or both and does not come overnight. The patient generally has a sense of fogginess or blurry vision even with the best corrected new glasses. So the typical patient present with dull in color, can't drive, can't read, or all of the above.